Getting to Nozawa Onsen is very easy. 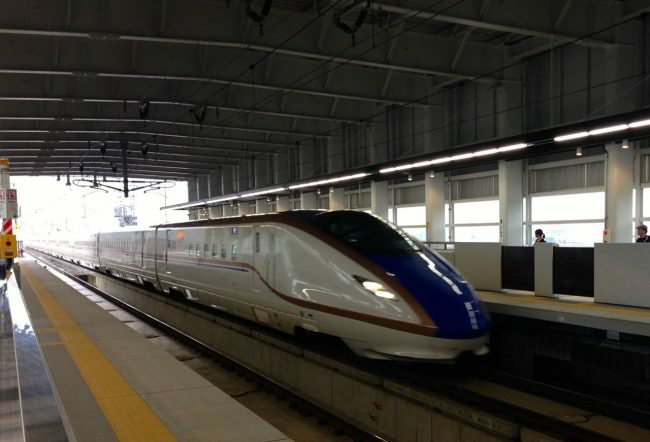 With the introduction of the new Bullet Train it is now so close to Tokyo and the airports. You can do it easily and in just a few hours. Train and Bus tickets are hard to book online. Best to do when in Japan! You can purchase train tickets with reserve seats or non-reserve seats at a station. 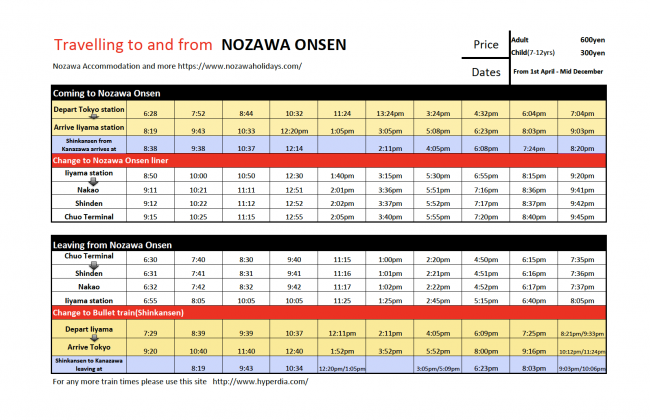 You can download a PDF of the Arriving Nozawa Timetable below. 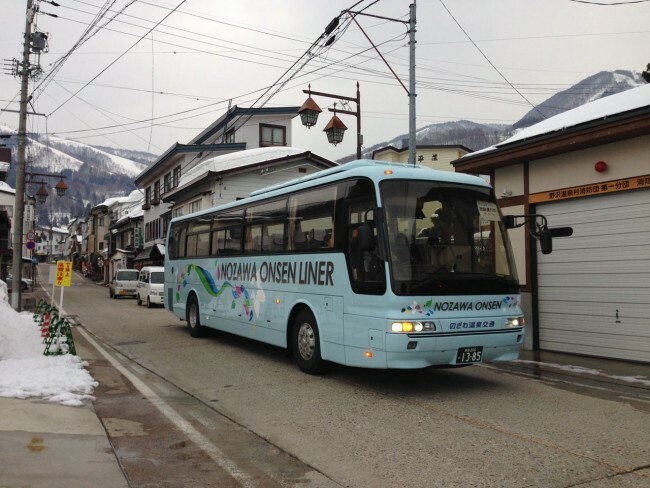 This shows the train and bus arrival times when you’re coming to Nozawa Onsen, to help you plan your journey. The Bullet Train or Shinkansen from Tokyo to Iiyama near Nozawa a very handy piece of machinery!